MONDAY, April 4, 2016 (HealthDay News) -- People with an underactive thyroid, or hypothyroidism, may be at greater risk for type 2 diabetes -- even if their thyroid hormone levels are kept within normal range, a new study finds. As the Dutch researchers explained, thyroid hormones are essential for the regulation of metabolism -- the conversion of food into either energy or fat. However, an underactive thyroid gland slows metabolism, and that can lead to weight gain, the scientists said. Prior studies suggested that hypothyroidism is tied to reduced insulin sensitivity -- a precursor for type 2 diabetes. In the new eight-year-long study, a team led by Dr. Layal Chaker of Erasmus Medical Center in Rotterdam tracked almost 8,500 people averaging 65 years of age. All of the participants had a blood test to measure their blood sugar levels as well as their thyroid function. They were re-evaluated every few years to check for the onset of type 2 diabetes. The participants' medical records were also reviewed. After nearly eight years, 1,100 of the participants developed prediabetes -- slightly elevated blood sugar levels -- and 798 developed full-blown diabetes. Chaker's team found that low thyroid function boosted the risk for type 2 diabetes by 13 percent. People who had an underactive thyroid and prediabetes were at even greater risk of progressing to type 2 diabetes -- the risk for type 2 diabetes was 40 percent higher for this group. The study could only point to an association between hypothyroidism and diabetes, it couldn't prove cause and effect. 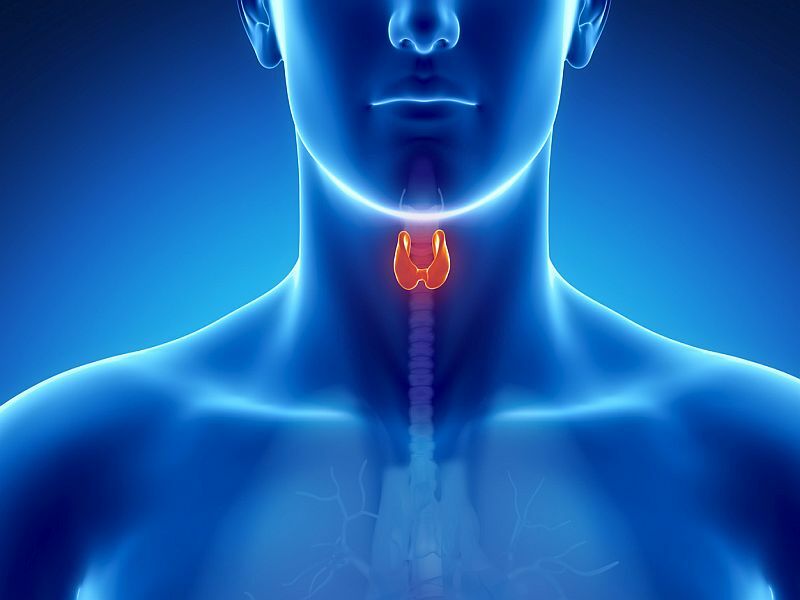 However, "these findings suggest we should consider screening people with prediabetes for low thyroid function," Chaker said in a news release from the Endocrine Society. The findings were slated for presentation Sunday at the society's annual meeting, in Boston. "We found it surprising that even people whose thyroid function was in the low-normal range had an increased risk of diabetes," Chaker said. "Future studies should investigate whether screening for and treatment of subclinical hypothyroidism [mildly low thyroid function] is beneficial in subjects at risk of developing diabetes." One expert said the finding wasn't unexpected. "There is some evidence to show that low thyroid function can increase insulin resistance," said Dr. Minisha Sood, director of inpatient diabetes at Lenox Hill Hospital in New York City. "Most endocrinologists screen for thyroid disease in patients with prediabetes and diabetes, because it is known that thyroid disease is more prevalent in these populations." Experts note that findings presented at medical meetings are generally considered preliminary until published in a peer-reviewed journal.